Sweet corn onigiri. Japanese cuisine. Vegetarian. 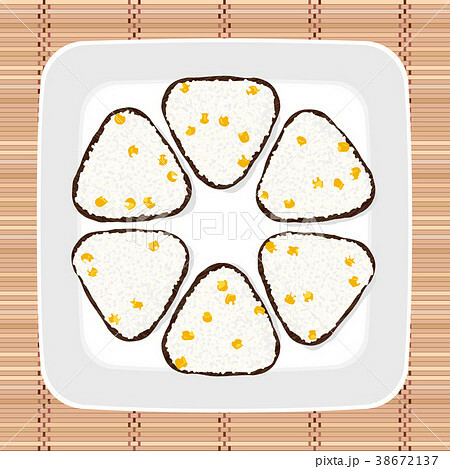 イラスト素材: Sweet corn onigiri. Japanese cuisine. Vegetarian. Sweet corn onigiri. Japanese cuisine. Triangle rice balls wrapped with nori seaweed. Illustration. Lunch texture. Asian snack plate on the japanese bamboo mat. Seamless pattern.